I often think of her beautiful smile, her joy when any of us walked into the room and the love she shared until the day she died. I am writing this blog with a heavy heart. My long journey of caring for my mother has come to an end. In fact, it came to an end more than six months ago. I've tried finishing this blog many times, but I found it very hard to say, "It's done." I miss my mother more than I could ever have imagined. Each person who supports a loved one with dementia has a different story. Some are better, easier, than others. This is mine. 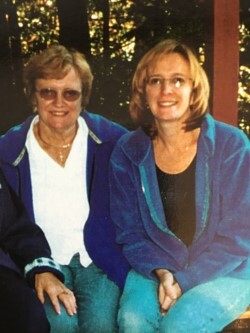 My mother began to show signs of dementia more than seven years ago, around the time my father passed away. There were many challenges along the way, turning me into a strong mama bear who was going to make sure she was happy and safe until the very end. 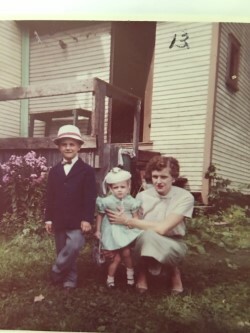 This was not an easy task, as my mom was struggling with the indignities of a frontal vascular dementia, leaving her with little insight, judgement or capacity to understand and appreciate the consequences of her actions and decisions. When my mother was first diagnosed with dementia she lived at least 1.5 hours from me, but with traffic this could be a three-hour trip, one way. I would rush north to visit and help when an urgent issue arose, and if the situation had been difficult, I would find the visit heartbreaking and would often cry most of the way home. Early on, my mom lost the ability to make her usual good decisions. She made many "bad" decisions, which created challenges for her, and me. I constantly had to remind myself that it was her brain that was at fault, not her. She didn't realize she was putting herself, and others, at risk, by driving, or using a hot curling iron, or putting chicken wings in a pop-up toaster, or ripping her ear lobe when removing earrings, as she couldn't figure out how to remove the back and slide the earring out. The good has erased the most challenging. She would be angry with me when I told her she could not put a new condo on a credit card, or go to a foreign country alone. And taking her license away was the worst! While the rule is: "Do not argue with a person with dementia — you won't win," one also has to make sure that no one will be put in harm's way when applying that rule. Assessment of risk is important. There were times I had to argue, and she would argue right back! I was deeply saddened with each negative encounter. She was still with me, but the loss of her full capacity made me cry. I have always said that the road of dementia care is difficult, and the last farewell will be the hardest, as it will be filled with mixed emotions. That is an understatement. I've been relieved of the responsibilities that consumed me for so long, but I miss that connection that remained until the end. How can one focus on the best, and forget the worst? The good has erased the most challenging. Consequently, I feel broken. I know my mom no longer struggles with the indignities of dementia, but I also know that she will forever be my mother, and I deeply miss her. I've given myself permission to feel deeply, take time to heal, connect with those who support me and, most importantly, to reminisce often. While the journey was often difficult, it was also filled with laughter, love and interesting stories that could fill a book. I often think of her beautiful smile, her joy when any of us walked into the room and the love she shared until the day she died. We had many wonderful days together, despite the devastation that was taking place in her brain.